Celox was originally used to save lives on the battlefield by stopping the most catastrophic bleeding in minutes. 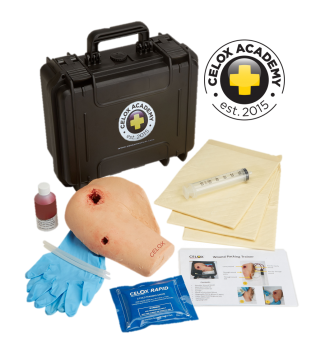 In a civilian medical emergency treating bleeding casualties quickly and effectively is just as vital. The casualty may have been bleeding for some time before arriving on scene. They may be going into shock, hypothermic or developing coagulopathies that inhibit attempts to arrest blood loss. To complicate situations more, millions of Americans take the anti-platelet drugs and anticoagulants such as Heparin and Warfarin (Coumadin) that affect the body’s natural blood clotting cascade. 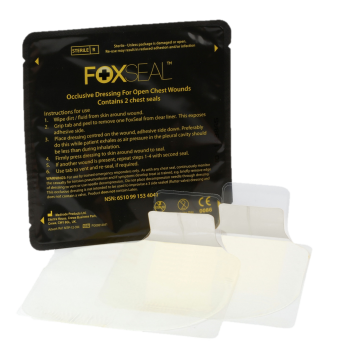 Attempts to control bleeding with direct pressure alone may be ineffective and some mineral-based hemostatic agents work by accelerating part of the clotting cascade which may be less effective if the clotting cascade does not function normally. Celox Granules work independently of the body’s clotting mechanism. Celox Granules can even clot hypothermic blood and blood containing blood thinning drugs Warfarin (Coumadin) or Heparin*. 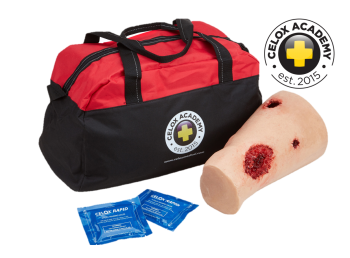 Death by bleeding from a gunshot wound or similar can take just a few minutes. 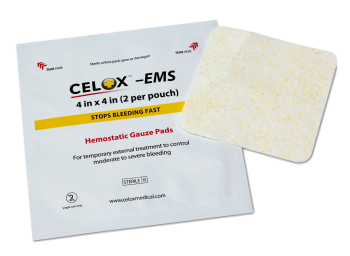 Celox hemostatic products are approved to treat moderate to severe bleeding, at the point of first treatment, and wherever needed to help keep the patient alive and reach surgical care. Whether you are an EMS paramedic, EMT, Fire service-based EMS make sure you have the best technology there is for controlling arterial bleeding, you’ll be better equipped with Celox wherever you go.